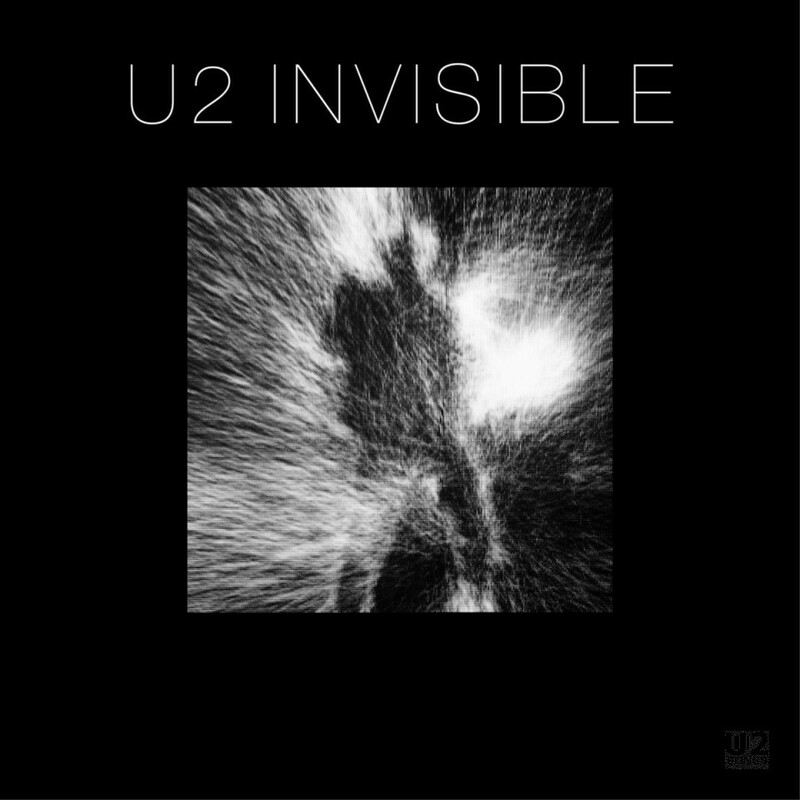 On January 23, 2014 the full release plans for “Invisible” were announced. The band had given the new track to (RED) to be offered as a free download on iTunes for a 24 hour period, beginning at 6pm EST. Further for each download of the track done for free during that time, Bank of America would donate $1 to (RED) in the fight against AIDS. The song was made available in iTunes stores internationally and not just the US store, and adjustments were made for each countries currency. In Canada for instance, each download of the track generated a $1.16 Canadian donation to the Global Fund to Fight AIDS, Tuberculosis and Malaria (the charitable recipient for (RED)). A countdown clock was launched in advance of the download, and specified that the download would begin at 6pm EST. The song was planned to be available as a free download on February 2, for 24 hours, until February 3, 2014. The download was eventually extended to 36 hours. A total of $3,138,470 (US) was raised for (RED) through this donation, which surpassed the original expected donation of $2,000,000. As part of the initial release, a sixty second clip of a video by Mark Romanek was shown during the Super Bowl. The commercial announced the song was “In support of (RED)” and announced that the song would be available for the next 24 hours for free on iTunes. The fine print listed “For every download between 6pm EST (11pm GMT) on 2.2.2014 through 11:59pm EST Monday, 2.3.2014 (4:59am GMT Tuesday, 2.4.2014), Bank of America Corporation will donate $1, up to $2,000,000, to the US Fund for the Global Fund to fight HIV/AIDS. Requires iTunes account. Limit one download per iTunes account. Content subject to availability. iTunes terms and conditions apply.” The day of the release, the countdown continued to run and counted down to 6pm EST, and the 60 second commercial shot by Mark Romanek debuted just a few minutes later, during the broadcast of the Super Bowl as had been planned. However, a direct link to the song was found much earlier in the day and publicized on social media sites, allowing fans to download the song well before the countdown. The song surpassed 2 million downloads in the first 24 hours, and Bank of America promised to donate $1 for every download, not just for the first 2 million as had been initially planned. The commercial was originally suggested by some to be an announcement of their new album, however Bono pulled the plug on that idea prior to the airing of the commercial in an interview with USA Today: “We have another song we’re excited about to kick off the album,” he says. “This is just sort of a sneak preview — to remind people we exist.” and stating that the song was chosen because “It’s the first one we finished”. On February 4, 2014, after the free offer had expired, the song was added to the iTunes store, and other digital storefronts as a paid download. All proceeds from the sale of the track on iTunes would also be contributed to the Global Fund. In late 2014, the full version of the song was released as a hidden track on the deluxe version of the album Songs of Innocence. A video for the song was shot between January 6th and 11th at a hanger at the Santa Monica airport, which featured the band performing “Invisible” repeatedly for the video shoot in front of a crowd. The full video was released on February 11, 2014, and was an extended version of the footage that had been used in the commercial. The audio used for the video is slightly altered from the downloaded studio version of the track, with added crowd noise, as well as the sound of the crowd singing the “There is no them, there’s only us” at the end. A preview of the video was posted to YouTube on January 30, 2014, and featured 0:18 of the song as sung by a crowd. The line sung by the crowd, “there is no them, only us” had appeared prior in the song “Rise Above” from the Spider-Man musical, and can also be heard in live performances of “One” dating back to 2003, including the performance at the 46664 concert. No physical singles were released for “Invisible” A limited run of promotional singles were made available in some regions. But fake CDR promotional items were also produced for this item. “Invisible” was performed live for the first episode of The Tonight Show with Jimmy Fallon featuring the band performing with a marching band from Rutgers atop the building at 30 Rockefeller Center in New York at Sunset. “Invisible” would be performed at every concert on 2015’s Innocence + Experience Tour, but has not appeared at subsequent tours, The Joshua Tree 2017 and Experience + Innocence. Invisible: Produced by Danger Mouse. Mixed by Tom Elmhirst.